OK… I owe you all an update from my very productive Brazilian trip and conference presentations. All in all things went really well. All of my 4 presentations were very well attended and people were not just amazed by the research potential of the Cyberlab but also excited about the possibilities of my research in Brazil. I spent just as much time answering questions as I spent actually presenting, which I think is a good indicator (and yes I answered lots of questions about “IRB” related stuff although not actually called RIB in Brazil). I was extremely impressed with the level of research being done there. While doing literature reviews here I had a very hard time finding stuff online and having access to citations I knew existed. There is a serious problem of visibility for Brazilian publications not only outside the country’s realm but also within the national research groups doing this kind of research. Therefore, I had a very erroneous idea about the status of museum learning research in Brazilian settings. I really thought they were further behind than they really are. This first international workshop of research in museum education in Sao Paulo was not only crucial for me to be able to network and get involved with the group of museum learning researchers in Brazil but, more importantly, it gave me a clear understanding of the historical development of museum studies in Brazil, their advancements, challenges and needs for future research (which will immensely influence decisions on my research questions). Overall, the status of current museum learning debate is very similar to what we experience here in the US. The same kinds of challenges were put into perspective during the event. There were robust discussions about the definition of learning, the learning theories influencing frameworks for research, where many people referred to the contextual model of learning and YES our well debated “Vygotsky” came to surface in one of the sessions I participated – THANKS SHAWN for theory meetings! The role of the museum as a “non-formal” setting (as they called instead of informal) and the role of its educators was also largely debated. It was brought up the need for more partnerships between formal and “non-formal” institutions, form more research to identify Brazilian museum common and uncommon audiences and develop strategies to bring scarce audiences such as general family groups to the museum floor. They also want to shy away from research that only incorporate cognitive aspects of learning to also include affective, aesthetic and other important aspects of cultural and social upbringing, which lead to conversations about the need for more studies on mediation processes and tools, reflecting on practice and inclusion research. I would say “inclusion” is the hot topic at the moment and I may even infer that they have done much more in terms of inclusion research and action than the US has. I was very impressed with the level of knowledge and experience coming from all participating groups which composed a very diverse audience by the way. Participants included college professors and researchers, graduate students, museum administrators, staff and educators, school teachers, journalists involved with science communication, social inclusion related professionals and so on. It was an incredibly rich and eye-opening experience for me, putting interdisciplinary initiatives into perspective and raising the issue to everyone participating that more conferences, workshops, and other events as such are in great need for the museum learning research community in Brazil, in order for them to develop better ways of communicating, exchanging efforts and making research results and methodologies available and visible to all community. I was able to meet my co-advisor and network with many other international and national professionals and graduate students in the field, some who are excited to cooperate with my research and work as mediators when I am not physically there. I am now part of the “GEENF” – the translation of the acronym stands for “Non-Formal Education and Science Divulgation Research Group”. It was created in 2002 and it is associated with the Science and Math Education Department at the University of Sao Paulo (USP), partnering with many museums and research institutions, National and International. Here is a link for more information in you wish to adventure into portuguese – http://www.geenf.fe.usp.br/v2/. It was just great for me to realize I can have a job back home when I graduate, specially when they need many more trained, knowledgable and experienced professionals in the field doing research, partnering with international institutions for cross-cultural research and replication of methodologies applied elsewhere and use of state-of- the-art technology. Creating a partnership between Hatfield and my research site (as off now the Ubatuba Aquarium in Sao Paulo) is not too far in the horizon for me anymore and, if it gets out of paper successfully, it has the potential to bring great benefits to both sides involved. I will be applying for some grants here soon, wish me luck! Posted in Conferences, Events, Free-Choice Learning, International, Museums, Partnerships. Free-Choice Learning Lab Research and cutting-edge technology used will be disseminated Internationally! Brazil here we go to Rio! Shawn and I have been confirmed to participate at the First International Workshop on Museum Learning Research, which will take place in Brazil this coming December. We will be participating in round tables about visitor learning research, discussing methodologies and presenting our various research tracks, especially in regards to Hatfield Marine Science Center. We will have the opportunity to share the Cyber lab activities with museum researchers around the world and a bigger population of Brazilian researchers. This will be a great opportunity to get ourselves known within international scope and to jumpstart my research in Brazil, as well as our partnership with my co-adviser’s “Life Museum”, as a place for professional development exchange and cross-cultural comparison of methodologies used. We will present the work you have been doing with Shawn (giving the credit you deserve) and the ideas for my research project on family learning in Brazilian Museums. This will be a great opportunity for me to network and narrow down the focus of my research as to what is actually doable within the Brazilian context and with the partners I will be able to get involved with. Generally, we will focus on new methodologies available with the Cyber Lab technological tools and, this way, create opportunities for methodologies to be replicated cross-culturally. They are very interested in what we do, and if we are successful in creating such partnerships, your work at the lab will contribute to the developing field of visitor-focused research in Brazil. We will keep you updated of what goes on. In addition to post the experience here upon our return. We will probably post and live twit while there to share our immediate impressions and issues raised. That is it for now. I am so happy to go back home (and I have never been in Rio). I am even happier to go back for this purpose, as I truly want to contribute to this research field in Brazil. Hope I will! Posted in Conferences, International, Museums, Visitors. My apologies as I was supposed to post this yesterday but with all of our Labor Day activities I forgot to publish it. I thought I would take a break from the wave tank activities I am working on at the Hatfield Marine Science Center and write about a different but equally exciting part of my academic life. I am finally back on track with my PhD since returning from maternity leave. Hurray! It is set, I will conduct my research in my home country – Brazil! The plan is to write my proposal in the Fall and collect data next Summer. I have been reading all the relevant literature available for Brazilian museum research and the likes. I have a Brazilian museologist as a co-adviser, who specializes in family studies and who will help us establish a partnership among our group and their research’s group at the “Museum da Vida”, which means Museum of Life in portuguese (http://www.museudavida.fiocruz.br). Within the Brazilian context, the largest percentage of museum visitors are composed of school/academic groups and a great number of Brazilian museums are cultural/historical museums. However, I have decided to do research on a Brazilian FCL environment focused on marine education. As of now I have a couple of options but I will likely do research at the “Centro do Peixe-Boi” (Manatee Center) located on a Northeast island called Itamaraca in my home state of Pernambuco. I still have not completely decided the aspects I will be looking at but quite possibly will involve the atypical groups of visitors composed of families that come to the beach and conveniently visit the center as it sits in such a prime location. It is an argument that such visitors may not even see the center as a museum, so it would be great to investigate their perceptions and how they compare it to other more “clearly” defined museums. My Fall semester will be filled with excitment as Shawn and I decide the focus of our research, which will also depends on logistics and partners we can acquire there to facilitate my research. Therefore, Shawn and I are planning a trip to Brazil soon to establish a partnership between our group and my co-adviser’s research group. We will have the chance to talk about the research we do at Hatfield to the Brazilian museum researchers, present my proposal and start networking. 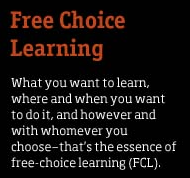 Posted in Free-Choice Learning, International, Museums, Visitors.